As Anthony Scaramucci prepares for his role in the Trump White House, he's cutting ties with his vast hedge fund business and the lavish Las Vegas conference he runs along with it. For years, Scaramucci has been the public face of SkyBridge Capital. The spotlight shines bright on him at the SALT conference, where he shares the stage with luminaries in attendance. But the hedge fund executive is selling both businesses as he takes on a new role as a liaison between the business world and President-elect Donald Trump. Scaramucci, a former Goldman Sachs (GS) executive who founded SkyBridge in 2005, is stepping down immediately as the firm's co-managing partner and will no longer be associated with it. With $12 billion in assets under management as of the end of November, SkyBridge said Tuesday it has agreed to sell a majority stake to RON Transatlantic and HNA Capital. The sale comes at a time when many hedge funds have struggled due to poor performance and a backlash against fat fees that eat into returns. SkyBridge didn't say how much the business is being sold for. Scaramucci is also cutting ties with SALT, the extravagant hedge fund conference he leads each May at the Bellagio in Vegas. SALT, which in the past has attracted celebrities like Al Pacino, Kobe Bryant, Kevin Spacey and Bill Clinton, is being spun out as a standalone business. SkyBridge didn't say who will own the SALT Conference going forward, but confirmed that the 2017 event will be held as planned. This year, the conference is being headlined by the likes of former British Prime Minister David Cameron, TV show host Megyn Kelly, and former Fed chief Ben Bernanke. In a statement, Scaramucci said it's been an "honor and privilege to help build SkyBridge," adding that he's "moving on to a new chapter in my career." Government ethics officials often require political appointees like Scaramucci to sell assets or put them in a blind trust to avoid potential conflicts of interest. Scaramucci threw his weight behind Trump last spring, after first supporting Scott Walker and then Jeb Bush. 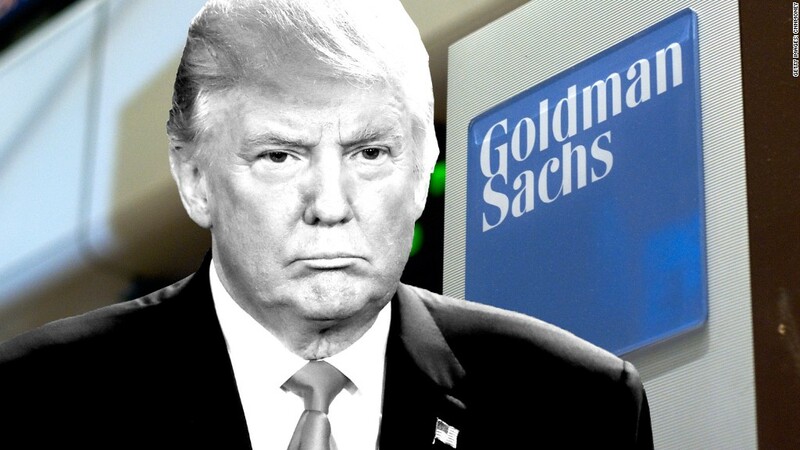 His support of Trump came at a time when many on Wall Street remained skeptical of the billionaire. Scaramucci has since emerged as a major cheerleader for Trump on TV. Last week, Scaramucci announced he has accepted a new role as assistant to the president in the office of public liaison. The Long Island native said his job will be to "really try to get the president's message out" to the U.S. and international business community. Scaramucci is already doing it. On Tuesday, he sought to ease concerns among those offended by Trump's direct style of communication. "He is saying things that are... setting off alarm bells and people are setting their hair on fire and running around, and they really don't need to do that," Scaramucci told an elite audience at the World Economic Forum in Davos.